When it comes to creating raving fans who sing praises for your dealership, there is no better strategy than utilizing social media marketing (SMM). With sites like Facebook, Twitter, Instagram, and LinkedIn, automotive businesses have plenty of digital platforms for word-of-mouth marketing to exist. Besides, the potential of your brand message reaching raving fans is more prevalent today through SMM than any other time in history. How can your dealership not afford to participate in this revolution? It is almost as if social media has become the cat’s pajamas for marketing strategies. Are you deciding to work on your automotive SMM? Created multiple profiles, but not seeing the expected results you had hoped to get? What is the deal? Social media is the most affordable and reliable tools for implementing an automotive marketing campaign. So, why are your efforts falling flat? It is highly likely that you are guilty of making some serious social media marketing no-nos. Social media marketing is not something you can use a go-with-the-flow kind of attitude. It requires great thought provocation and planning in order for you to gain success. Therefore, if your story goes something like this: you decide to join social networks, make your profiles, load it with sales info, and then disappear, forget about every gaining followers and fans. Inactivity is the bane of any marketing strategy. If you disappear and do not answer to the questions of people, your brand presence will soon become a flop show. 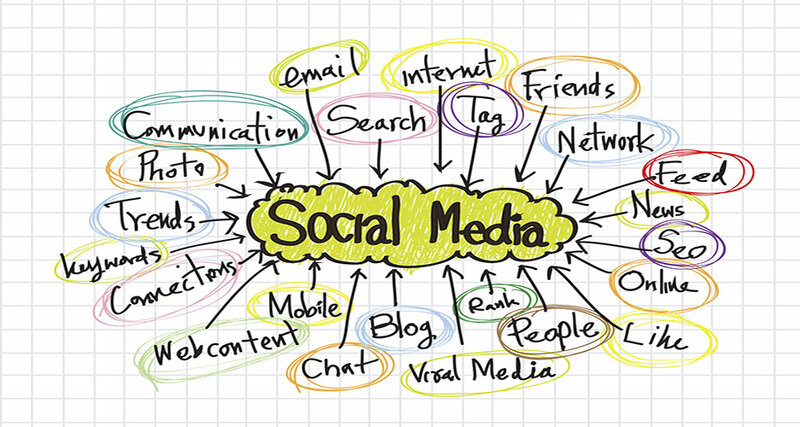 Bear in mind that every SMM plan requires a team for interaction, proper strategy, time investment and creative ideas. In the beginning, it may seem like a good idea to make profiles on YouTube, LinkedIn, Twitter, Facebook, Snapchat, Instagram, and hundreds of other social media websites. However, the problem with this strategy is that if you grow too fast, you will not be able to keep up with the benefits of each site. The best approach when beginning SMM is to create only ONE site, like Facebook and learn its details before implementing any strategy. Engage with others, participate in events, join groups, and create your fan page. Starting 12 pages at once will result in lack of participation and attention to different sites’ audience, resulting in poor reputation. If you are posting the same message on all of your social networks, it is not difficult to figure out why you are facing trouble in getting SMM to work for you. While most businesses may say they schedule their posts using automation software, this is not a good way for you to market your car dealership brand. In fact, active car enthusiasts and followers on your site may report this as “spamming”. It is better to give your messages a more original and authentic tune. Get creative. Share personal stories about cars. Engage the audience in participating in discussions. Go wild. That is how you generate interest of car users on social media. This kind of thinking is toxic for your SMM strategy. For those who actually believe in this, you should not call yourself digital marketers. Bear in mind that social media is an important part of your automotive SEO and marketing strategy. You cannot isolate it as a separate aspect or outsource the entire promotional SM campaign to an independent team and forget about it. This is a serious automotive marketing mistake. Think of social media as a part of your overall campaign. Only when your dealership successfully manages to relate it to your website will you be able to leverage its full potential. If you are one of those car dealership owners who think that sharing more promotional content guarantees the success of your automotive marketing campaign, you are most certainly WRONG. While it is understandable that you have deadlines to meet, cars to sell, features to install, and money to make, if you push your brand too hard – you can forget about getting any business at all. Why? Because your focus remains on the call to action that you forget about the PRIMARY purpose of marketing: providing value to the audience. Remember, SMM is all about the consumer. Everything you share should prove useful for them. If you can solve their problems, you WILL be their favorite car brand. The entire purpose of creating a social media profile and marketing your brand is for you to communicate and interact with prospective fans, followers, and customers who are interested in purchasing, selling, or acquiring any service related to cars. Therefore, if a visitor leaves a comment on your page or writes something on your wall, it is your job as a brand to respond to them politely and thank them for any sort of feedback. Not communicating or giving attention to those participating on your social media page will result in your page losing its followers. Many automotive business owners think that by participating on social media websites, they will encounter nothing but “positive” feedback. This is not true at all and a huge mistake to think. There is always bound to be someone who does not like your car products or services. Most likely, they will tell you about their bad experience too. It is imperative that you take advantage of this opportunity and communicate with them to solve their problems, rather than removing their comments (as you will only infuriate them more). Allow customers to freely express their opinions, be it negative or positive. That’s how you can allow your car dealership to grow. So, if you want to take your car dealership to the next level, make sure to avoid the abovementioned mistakes.